The Boys and Girls Clubs of Middle Tennessee offer neighbor-based centers designed solely for youth programs and activities that provide programs and activities to support kids’ academic success, character growth, and healthy lifestyles. Over 4,000 kids came to a Boys & Girls Club of Middle Tennessee last year. 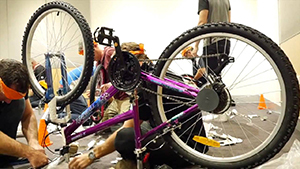 Don’t have time to participate in the Bicycle Build Off? You can still make a donation towards a bicycle when you register to attend CORROSION 2019.